The most important thing in Maija’s life are her children. She even had dreams about a career in child care. Maija feels responsibility towards the environment. When companies produce more and more products all the time, it becomes even more important where and how the items are produced. Being inspired and inspirational is a way of life for Maija. Pattern design takes a lot of work from the initial idea to the finished design. She has got her inspirations for VIMMA from her children. “I have learnt a lot from my children, at least as much as they have learnt from me”, Maija says. Linda is a designer and an illustrator from Helsinki. The most important things in her life are the people around her, sports and the best job in the world. Linda has always dreamed of travelling the world. Her parents travelled a lot but never took her with them. They said Linda can travel wherever she wants when she gets old enough. When Linda was 17 years old, she spent a year in Australia. That year taught her a lot about people. How people are so different, but in the end so similar. Linda is fascinated by abstract figures. Her ability to concentrate is at its best with a blank sheet of paper in front of her. Sometimes it feels like patterns just come out of the blue. 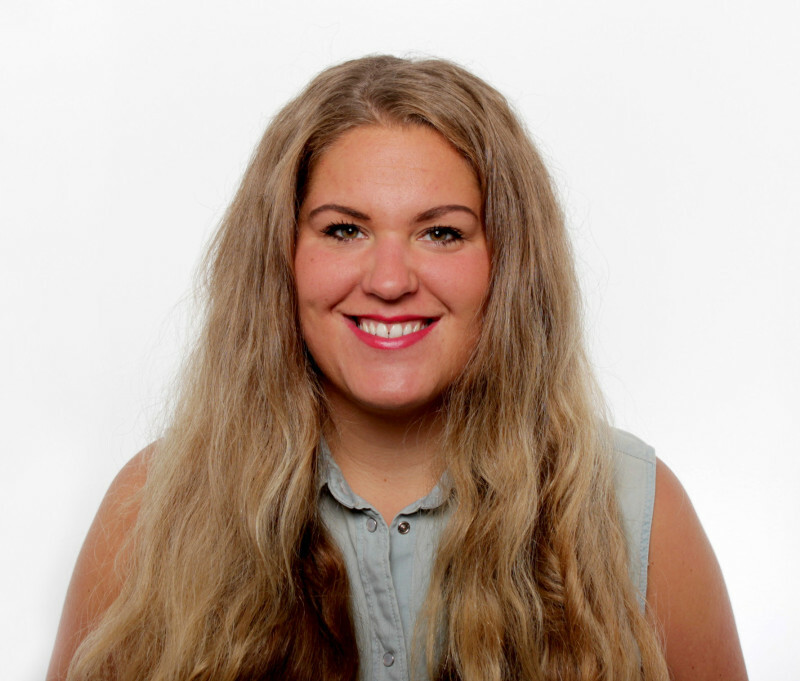 Minni studied visual arts in Lahti and design in Aalto University. She was the co-founder of the clothing brand Minni f. Ronya until the company was closed down. Minni is also a wife and a mother for her little son, Elo. After her child was born she realized that people can love so much it hurts. Minni loves her family. Other important things in life are God, being inspired and the opportunity to create something new by drawing and designing. When Minni designed a pattern called “Rainforest” for VIMMA, she was listening to sounds of the rainforest and was looking through pictures of the jungle. She drank tea from her ”Braid” mug by VIMMA and worked in her kitchen. Minni gets inspired all the time. The brain of the designer never sleeps. She follows the world around her. Ideas, views and feelings come back to her when she starts designing. Artworks and nature are the greatest sources of inspiration. Lauri is a father of four kids, a cartoonist and a visual artist from Oulu. Lauri couldn’t resist the call of VIMMA. This work is something he gets excited as a parent, which is one of the most motivating factors as a children’s clothes designer. Inspired by VIMMA he bought pants made of wool for his son at our Pop Up store. Lauri’s first pattern design for VIMMA was ”Granny”. He wanted to create a design which is clear, funky and abstract. “I felt the need to break my habit of drawing with a specific style, so I took our baby in my arms and started to sketch”, Lauri says. This is how ”Granny” was created. As an artist Lauri wants to leave his footprint in this world. “The need to be known is not going anywhere although you are a grown up”, he says. Lauri has a special place for grandmothers in his heart – they always wish a good luck for everyone. He is also grateful for his inner circle, people may be far away but still hope the best for each other. Lauri’s favourite look from VIMMA is based on black and white with a colourful twist, for example ”Granny” leggings worn with a loose sweater or a merino wool hooded jacket. The look is finished with a huge colourful scarf. Lauri is working on a new comic strip novel. He is also wondering why kids don’t feel the need to sleep. He thinks that as a dad, sleeping is a luxury; there never seems to be enough of it. Jenni Rope is a visual artist and graphic designer who lives with her young son, husband and two cats in Helsinki. She’s inspired by artists who create art in multiple forms. That’s how she’d like to live as well. The ‘Drop’ designed by Jenni Rope for VIMMA was inspired by raindrops slowly dribbling down the windowpane. Rope’s style is a casual brush stroke or a steady scissor cut. Rope says she is in good company when designing for VIMMA. She wants to sew clothes for her son using ’Drop’ as the material. There is peace in Jenni Rope’s studio, but her mind is at ease in the countryside, where she can find a different kind of tranquility. There, with her son, they examine together all the stones, bugs and mussels. They go to sauna and swim in the mornings. They paddle and secretly spy the adventures of the cat. Maybe this all will one day form a story for a children’s book. Riikka Koistinen is a graphic designer and an illustrator from Helsinki, Finland. Her works are influenced by the impressive backcountry landscapes of Kainuu where her grandmother had her house and her yard. You can also sense the fells of Lapland and the presence of the sea. Nature is strongly present in Koistinen’s works: as textures, colours and elements. For Koistinen, it’s important to design something that touches you and is sustainable. She prefers to design with a pencil and it is one of her most recognizable styles. She likes the contrast, the delicacy and the precision of the pencil. Koistinen wants the result of her work to be simple but intriguing. The viewer has to look twice and think before drawing conclusions. -I’m very curious to work with different material in different format. In Tokyo, I frew up with my parents, elder brother and grandparents, with love of urban gardening (we also had some chickens in the garden waking us up, you cannot imagine this could happen in Tokyo!). We have lots of different herbs, grapes, kiwi tree, orange tree, cherry blossoms, plum and many more in this our garden. Right now in Kallio apartment, me and my boyfriend do not have any balcony, but someday I would love to have a garden to grow plants and vegetables,-this is my dream! I love making print designs for VIMMA kids what. There is so much fun to design specially for kids. I would like to make abstract and bold patterns yet still with playful with some details for VIMMA. All the patterns I have designer for VIMMA are also rhythmical, just like kids jumping around and playing. It’s important for my patterns to have kid’s playful attitude. I wish always to create timeless designs so people could use them for long time without getting tired of them, or for kid’s wears whole siblings could wear them! Or maybe kids can use for their own kids some day?! 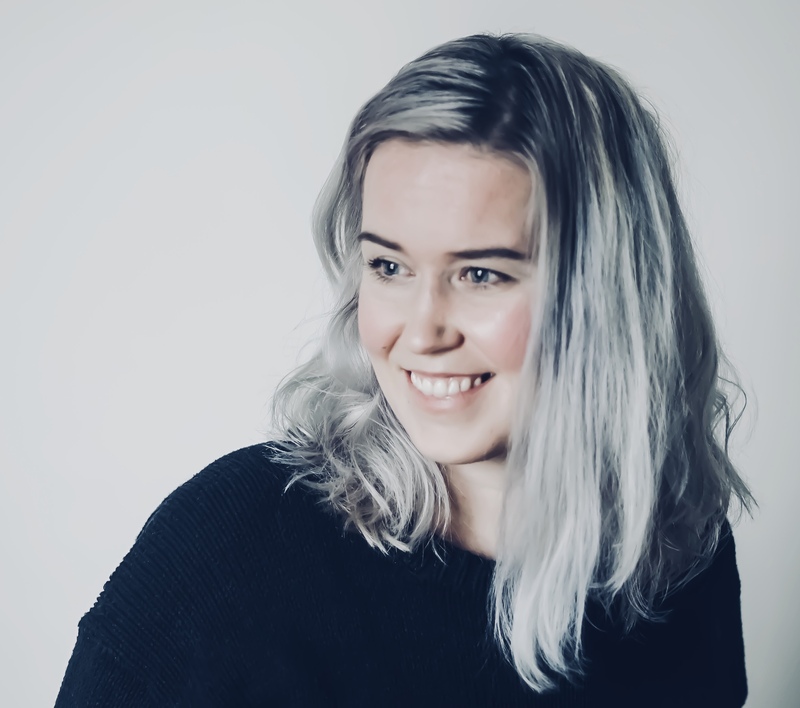 I’m Anna, a Helsinki vased pattern designer and illustrator. I studied Fashion and Clothing Design in Aalto University. The School of Arts, Design and Architecture and graduated in 2013. I live in Vallila together with my boyfriend and loads of plants. I’m a child at heart and I love random adventures, climbing, dancing, making a bike trips and exploring foreign places. I’ve designer TRACE pattern for VIMMA. Trace is and abstract paint splotch design that was created by pressing paper on top of mixes coloured wet paint clumps. It was a super fun design to make, since there was no way of knowing beforehand how the painted traced will look like in the end. There was an element of surprise in the design process, which made the pattern ﬂow at ease. I love working with VIMMA, because there is always an element of play and whimsy in everything VIMMA does, which makes working with them super exciting and inspiring. The whole VIMMA -team feels like a huge and talented family and I feel super honoured to be a part of it. Kaisa Kartela teki muutama vuosi sitten henkisen täyskäännöksen urallaan ja lähti toteuttamaan haavettaan graafisena suunnittelijana. – Muistan elävästi, kun menin ensimmäistä kertaa Vimmalle kuosiaihioideni kanssa. Katselin auringon nousuja silloin vauva-sumusta käsin. Innostutti ja jännitti, miten töihini suhtauduttaisiin. Minua liikutti se, miten lämpimään syliin Vimma ottaa suunnittelijansa. Siitä oululaissielujen kohtaamisesta poiki lopulta kaksi ensimmäistä Vimma-kuosiani. Elämä tuntuu juuri nyt vapautuneelta ja aivan luvattoman energiseltä! Arkeni pyörii onnekkaasti perheen ja kuosien keskellä, kuvituksien ja logojen parissa. Työni on lempiharrastukseni! Lasteni aamuhalausten ja höpinöiden lisäksi saan kiksejä juuri nyt Helsingistä, ysäristä, auringonlaskun pehmeistä sävyistä; ruskeasta, beigestä, tiilenpunaisesta ja limenkeltaiseta neon-hehkusta. Mun viiva on ohuehko ja soljuva, yleensä tussattu tai vesivärjätty. Maalaan aina hiljaisuudessa. Työpöydälläni on vihkoja, kyniä, kahvimotteja, julisteputkia, kankaita, ompelukoneita, piirrustussotkuja, muovailuvahoja, värejä ja maaleja, sekä yksi jättimäinen kirja.